No need to buy in pieces, this complete Banquet Table and Chair set will save you time! This set includes an elegant Walnut Laminate Table Top, Round Base and 4 Metal Ladder Back Chairs. Use this setup for Banquet Halls, Wedding Ceremonies, Hotel Conferences, Restaurants, Break Room/Cafeteria Settings or any other social gathering. The lightweight designer metal chair will enhance any environment. 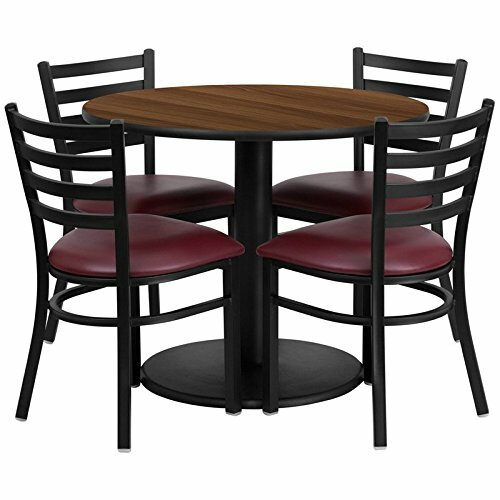 This Commercial Grade Table Set will last for years to come with its heavy duty construction.